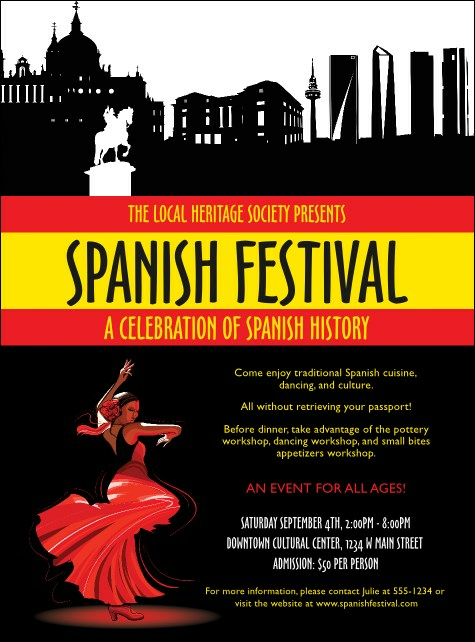 Packed with dramatic color and imagery as well as your event’s details, the Spanish Festival Flyer will help drive ticket sales! This striking design uses the colors of Spain’s flag to make event information pop atop its black background. Pair with invitations, postcards, and posters from this design’s matching event kit. Find the right flyer template for your cultural celebration at TicketPrinting.com!